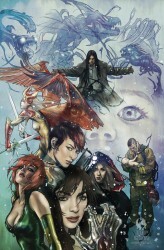 Top Cow has released the cover images and solicitation information for titles arriving in December 2010. 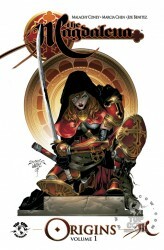 In 1995, Marc Silvestri, Michael Turner, David Wohl, and Brian Haberlin created a new kind of comic heroine with the origin of Sara Pezzini, the latest in a long line of bearers of the mystical gauntlet known as the Witchblade. In an over-sized 15th Anniversary issue, Ron Marz and Stjepan Sejic tell Sara’s origin from a new perspective, planting seeds that soon will bear deadly fruit! Featuring two spellbinding covers including a wraparound retrospective by series artist Sejic and an iconic painting by fantasy illustrator Jean-Sebastien Rossbach (Magic: The Gathering). 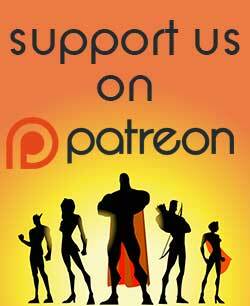 Also including special anniversary features, pin ups, and much more! 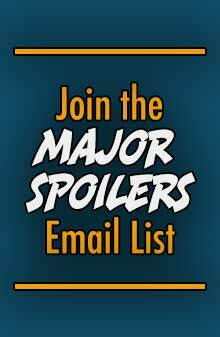 Plus ask your retailer about a FREE matching digital download of this issue with purchase. 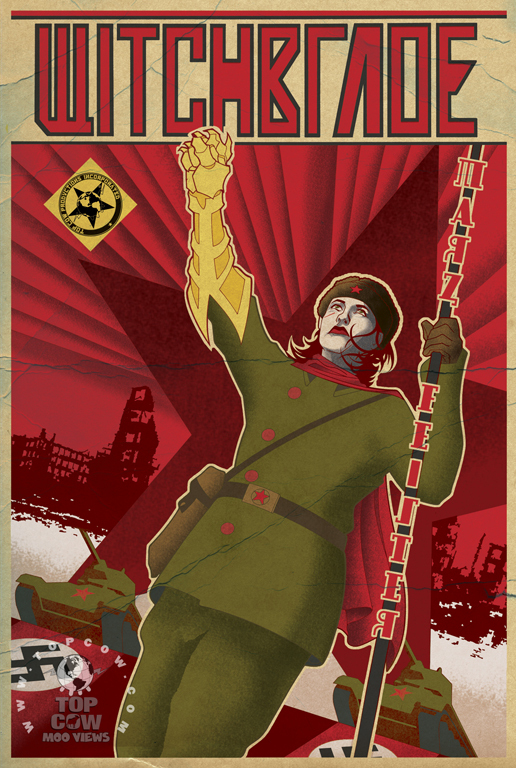 Sara Pezzini comes face to face with a former Witchblade bearer, a Russian soldier who served during the frozen Siege of Stalingrad, a pivotal battle in World War II. What tale does she have to tell Sara? Witchblade bearers past and present come together in a one-of-a-kind story, with amazing art by New York Times bestselling illustrator Tony Shasteen (The Talisman). Featuring two striking covers by Tom Feister (GI Joe: Origins, The Darkness) and Tony Shasteen along with a bonus back up feature! 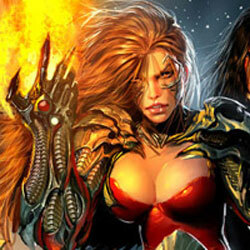 Get the iconic cover image of Witchblade by Stjepan Sejic for your office, bedroom, or comic room wall as a 24” x 36” full color poster! 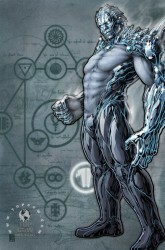 Just in time for the holidays comes a 12 Month 2011 calendar featuring all of your favorite Top Cow characters including Witchblade, The Darkness, Magdalena, and many more by artists such as Stjepan Sejic, Ryan Sook, Marc Silvestri, and more! Your Second Chance to Jump In! 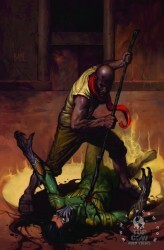 The first chapter of Artifacts concluded with a shocking cliffhanger and the second chapter shows no sign of letting up! 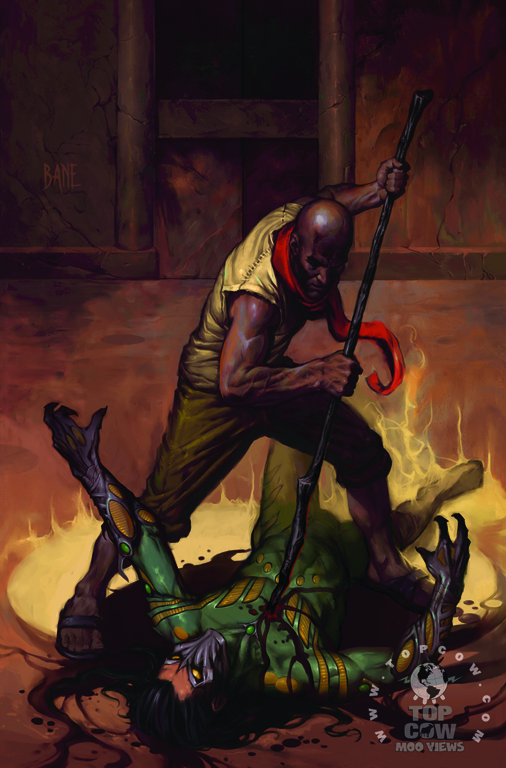 With all of the players on the board, the antagonist manipulating the Bearers of the Artifacts moves to complete his plan for utter annihilation of the world. 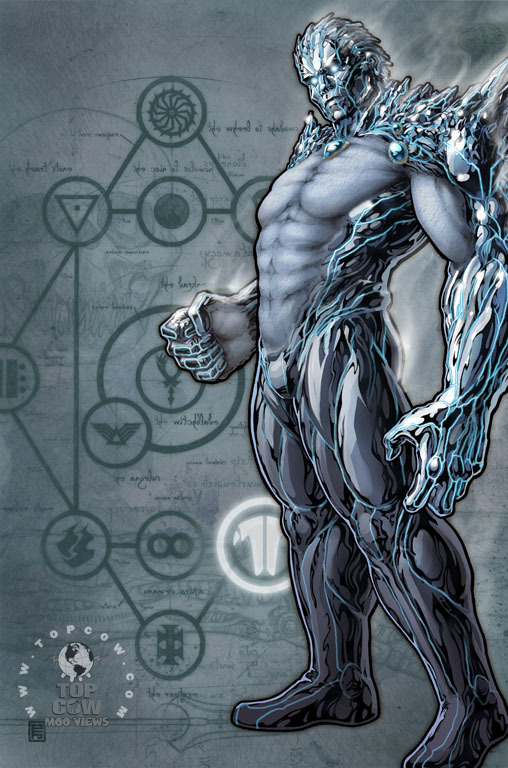 But how do the members of Cyberforce fit into the machinations of the supernatural? 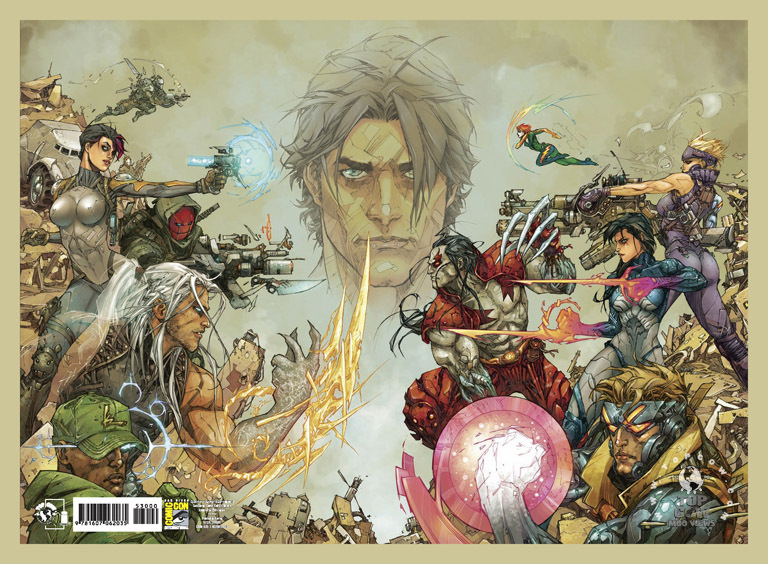 From Top Cow Universe architect Ron Marz (Witchblade, Magdalena) and welcoming legendary artist Whilce Portacio (The Darkness, Uncanny X-Men) comes an event series, which will literally shake the Top Cow Universe to its foundation. Featuring a gorgeous cover by Nic Klein (Viking) as well as a variant cover featuring Michael “Finn” Finnegan by John Tyler Christopher (Witchblade). 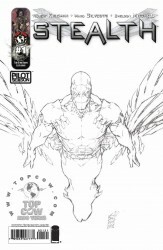 Each issue will also feature a Top Cow Origin backup written by Marz and drawn by a superstar artist. 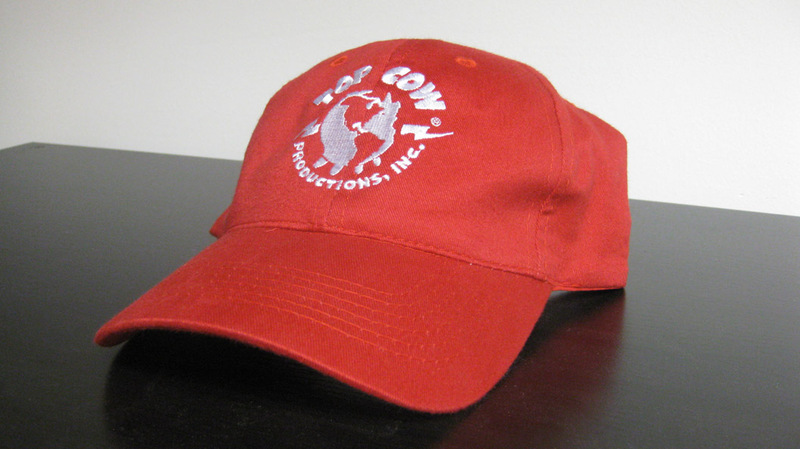 Show off your allegiance to the Herd with this stylish red one-size-fits-all baseball cap featuring a white Top Cow Productions logo. 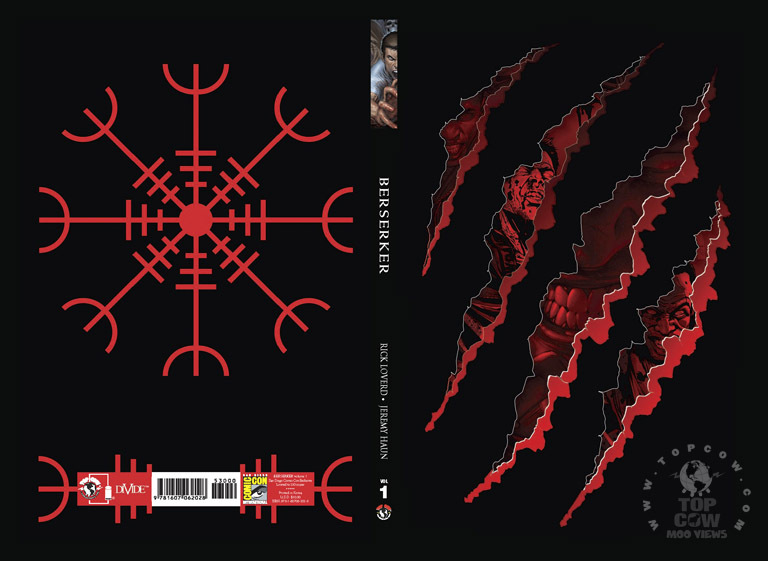 Initially available only at Comic-Con International in San Diego. Quantities are limited, allocations may occur. 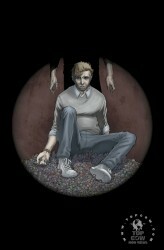 Outer Darkness, Part 2 of 6! Jackie Estacado has risen from mob hitman to absolute kingpin. He has defeated countless enemies of indescribable power, and even ruled an entire country. Now the only enemy left is The Darkness itself, the very source of Jackie’s power. Can he defeat it before it consumes the last shred of his humanity? And will the mysterious Foreigner join Jackie in battle, or simply put him out of his misery? 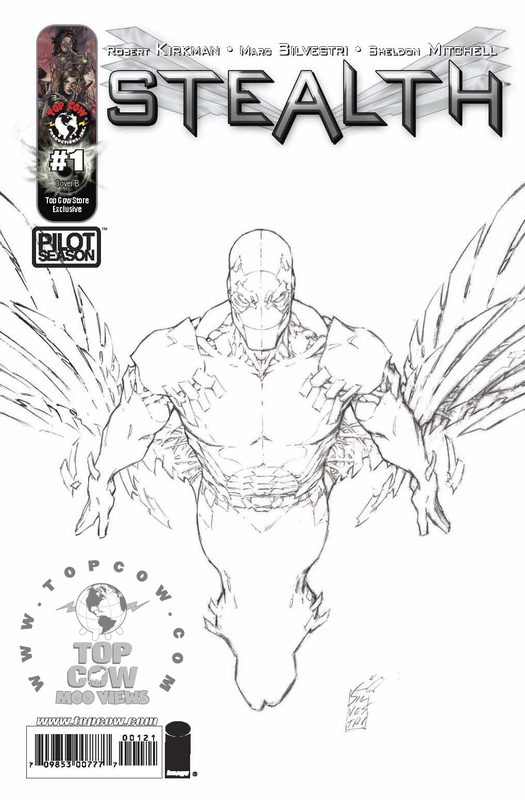 Get this limited edition sketch variant cover by co-creator Marc Silvestri, previously available exclusively from the Top Cow Store. Quantities are limited, allocations may occur. 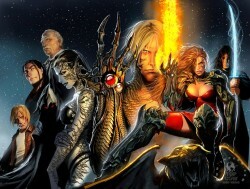 Featuring Witchblade, The Darkness, Angelus, Magdalena, Cyberforce, Hunter-Killer and other Top Cow Universe favorites! When a distraught mother surrenders her baby at a New York City fire station during a winter snowstorm, Sara Pezzini, Jackie Estacado, the Hunter-Killers, and other Top Cow Universe characters find themselves pulled together in the spirit of the holidays to aid the innocent newborn. 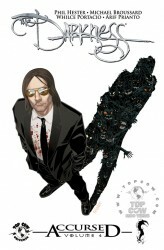 What quickly becomes apparent is there are larger sinister forces at play here with the baby as the focal point of a supernatural event that will take Top Cow greatest heroes banding together to save, not only a city, but a single child as well. A fan favorite holiday character returns! When Jing again breaks her parents rules, she is forced to spend Christmas Eve GROUNDED. But when Santa is also caught in a lie, he has to share the same punishment! Neither father nor daughter can leave the North Pole until they apologize, and with the contentious Kringles not speaking to each other, Christmas is doomed! 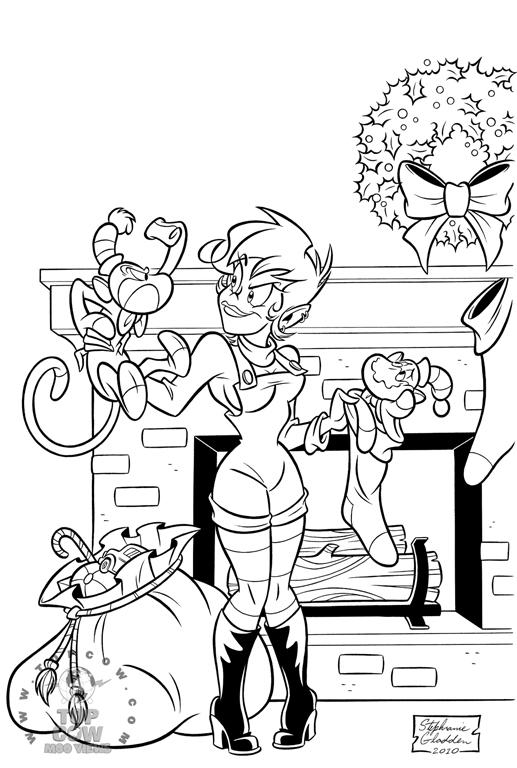 A gigantic treasure trove of new and classic Jingle Belle stories! When Jing again breaks her parents rules, she is forced to spend Christmas Eve GROUNDED. But when Santa is also caught in a lie, he has to share the same punishment! Neither father nor daughter can leave the North Pole until they apologize, and with the contentious Kringles not speaking to each other, Christmas is doomed! In SLAYBELLE, Jing teams up with Halloween witch Polly Green to create a new holiday horror movie. Their film features a psycho St. Nick’s helper (played by Jing) who offs mall Santas in gleefully gruesome ways. “It’s a Wonderful Life?” Not by a long shot! Discover the Origin of the Magdalena! Patience was not the first Magdalena. 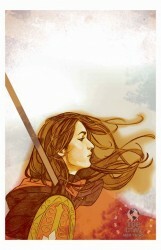 Not even the first to make her presence known in the modern Top Cow Universe. 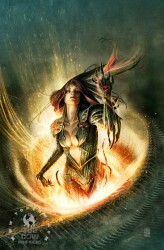 Go back and rediscover the origins of the Order of the Magdalena in this first of two “Origin” trade paperback volumes. 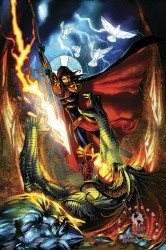 This collected edition includes the first appearance of the Magdalena by Malachy Coney and superstar Joe Benitez when she came to slay Jackie Estacado in The Darkness Vol. 1 #15-#18. 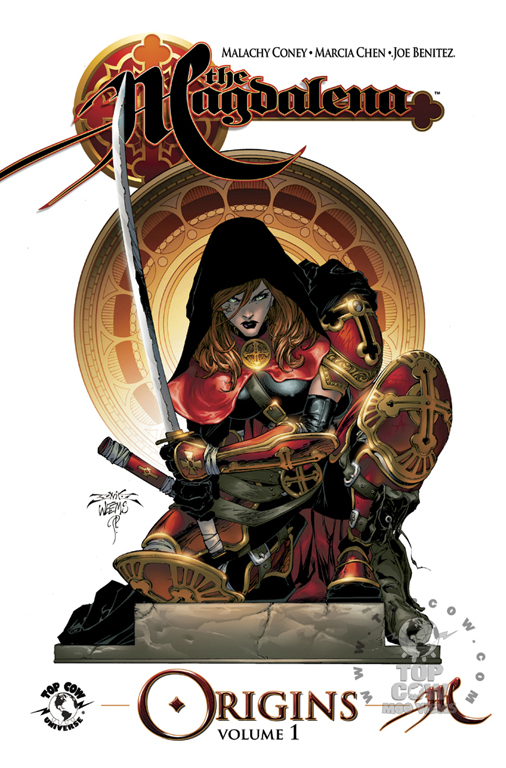 Also collected in this edition is the first three issue limited series starring the Magdalena by Marcia Chen (Wriathborn) and Joe Benitez. 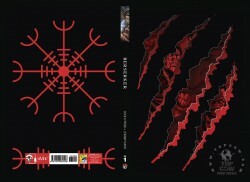 Get this extremely limited edition (250 copies made) convention variant hard cover edition of Cyberforce/Hunter-Killer. 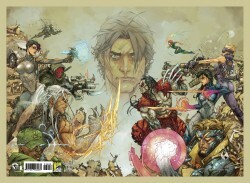 Featuring a wraparound cover by series artist Kenneth Rocafort, previously available exclusively at Comic-Con International in San Diego. Quantities are limited, allocations may occur. Jackie Estacado, the current bearer of The Darkness, was blackmailed and lied to by a devil calling himself The Sovereign. Now free from The Sovereign’s grips, Jackie has assembled a motley crew of criminals with one goal – destroy every last one of The Sovereign’s reliquaries. His quest will take him to the Florida Everglades, against the Russian Mob, and even into Fort Knox. Collecting issues #80-84 and featuring art by Michael Broussard (Artifacts), Phil Hester (Firebreather, Green Arrow), and comic industry legend Whilce Portacio (Uncanny X-Men). 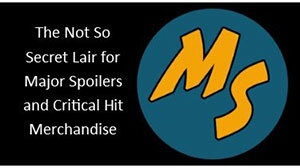 The First Shocking Suspense Series from Minotaur! Brian Cohn is a diagnosed schizophrenic leading a simple, uncomplicated life in Monroeville, Pennsylvania. He’s expecting his first child with his wife. When he goes to visit his estranged Alzheimer’s afflicted father on his deathbed, the dying old man confesses to being a serial killer. Now Brian is faced with discovering a horrifying new side to his father and left wondering if we ever really escape familial legacies. From acclaimed author Joshua Hale Fialkov (Tumor, Pilot Season: Alibi) and rising artist Rahsan Ekedal (Creepy) a disturbing story of murder and mystery wrapped in questions of sanity.